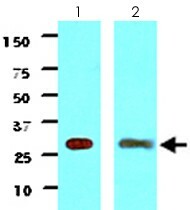 Mouse anti Human, Mouse 14-3-3 protein gamma J3H10. Recombinant protein corresponding to amino acids 1-247 of human YWHAG. 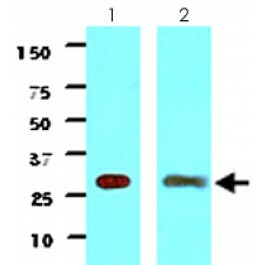 Mouse monoclonal antibody raised against partial recombinant YWHAG. ELISA,WB, Recommended dilution start at 1:1000.